I’m starting a new series on the blog that will chronicle our journey through My Father’s World kindergarten. We are having a lot of fun with it and I want to document our experience. Hopefully this will give you an idea of how the curriculum works if you are considering using it with your children. I will have a new post after we complete each unit with pictures of the things we are doing! 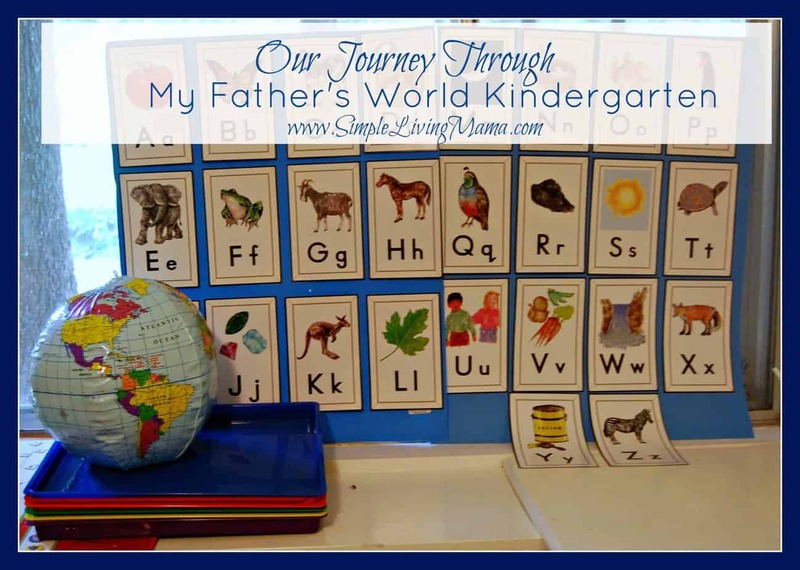 I love the gentle approach to this curriculum and we have really had a blast with it! Here you will find just about every unit and you can see what we did. Some units are more full than others, but we LOVED this curriculum and definitely recommend it to other homeschooling moms! We will be continuing on with first grade!